Before I go into the actual post, a few words on what the art means to me. I couldn’t call myself a connoisseur really, but I do know that it is one of the art forms I absolute adore and that it is outstanding craftsmanship. A few years ago, I had the fortune to see an exquisite exhibition of KATSUSHIKA HOKUSAI, with a friend in Fukuoka and another magnificent display of UTAGAWA KUNIYOSHI prints in Osaka with my brother. 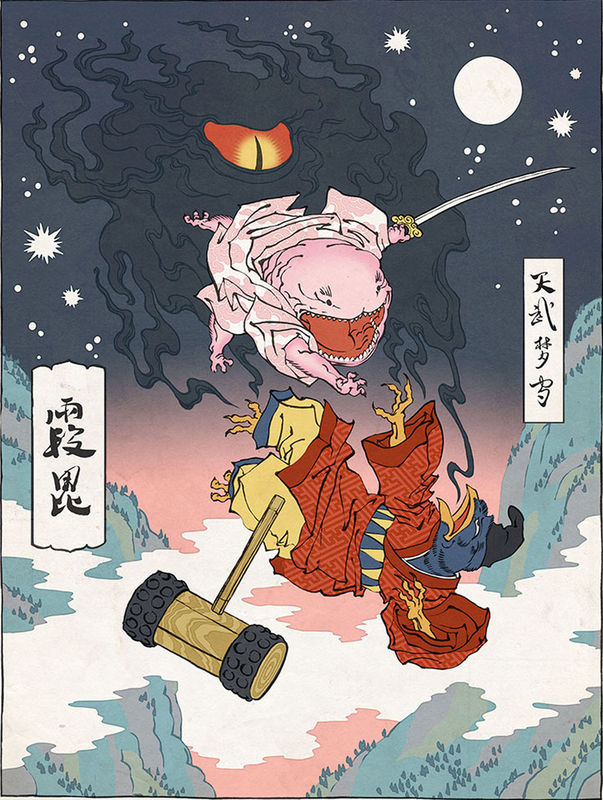 I still vividly remember ‘Musashi on the Back of a Whale’. 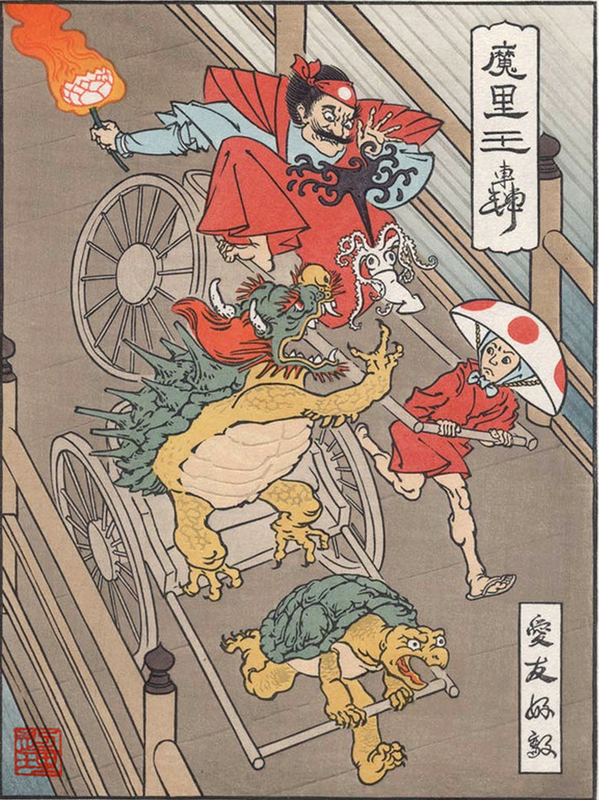 I always look at the Ukiyo-e as windows to the past with their intricate and beautiful depictions of historical events, folktales, satire, erotica, scenery and celebrities of each respective era, such as OIRAN (花魁・おいらん) and Kabuki actors. 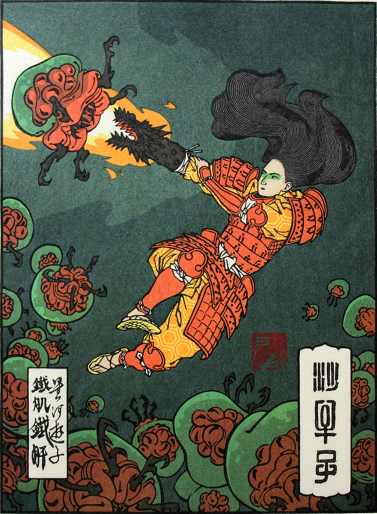 The prints are the predecessors of manga as we find them today. Both mediums have been appreciated as sort of entertainment for the people of the time. 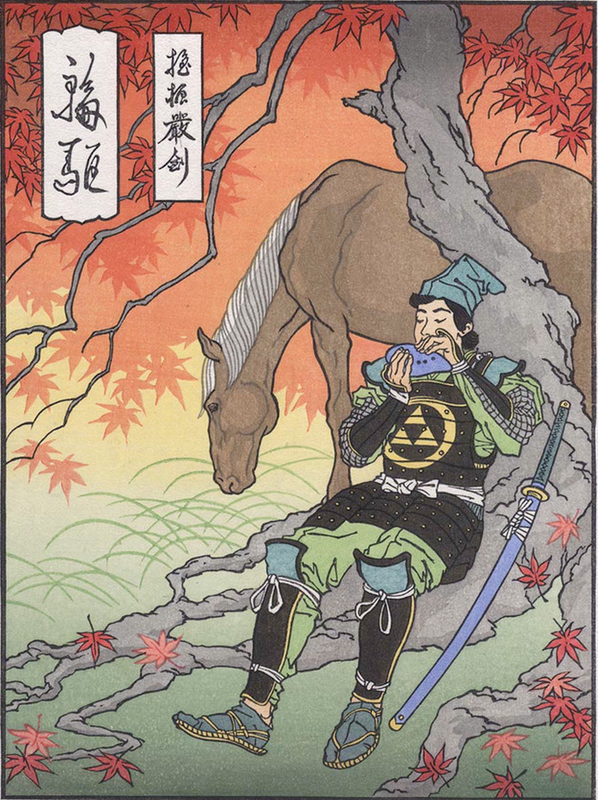 Even though manga gets down played often in Western views, just like Ukiyo-e back in Edo, it documents trends in culture and society, no less reflects what is on people’s mind at the time of creation. 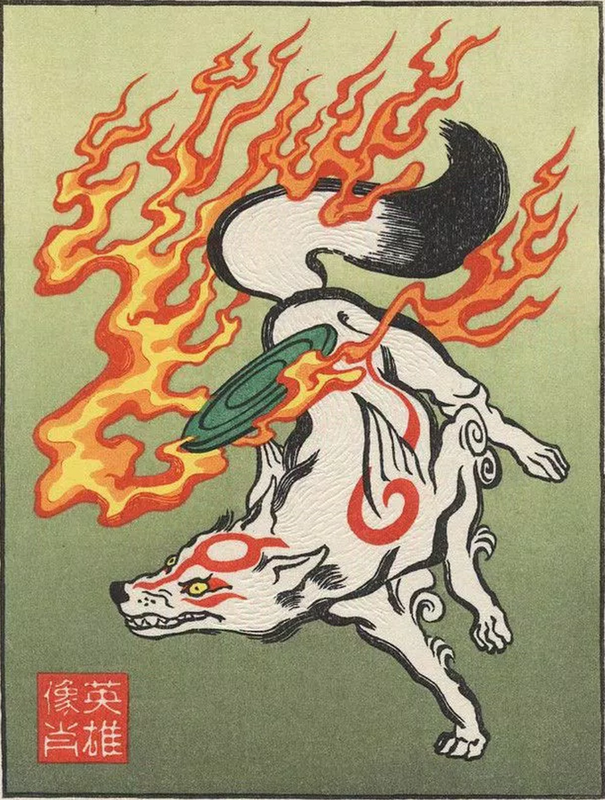 Mastering the art of Ukiyo-e is said to take decades and to produce a single print is a rather time consuming process – compared to more conventional methods nowadays, a lot more costly, too. These aspects could be one of the reasons, why new blood to rejuvenate this traditional style of printing in some areas seems to lack. Our hasty world appears to be even more transient and ephemeral as ever before. People are in for the short-lived distractions, rather consumers than creators. Each art form has then to rely on devoted individuals and striking ideas to keep it alive or to be re-discovered. 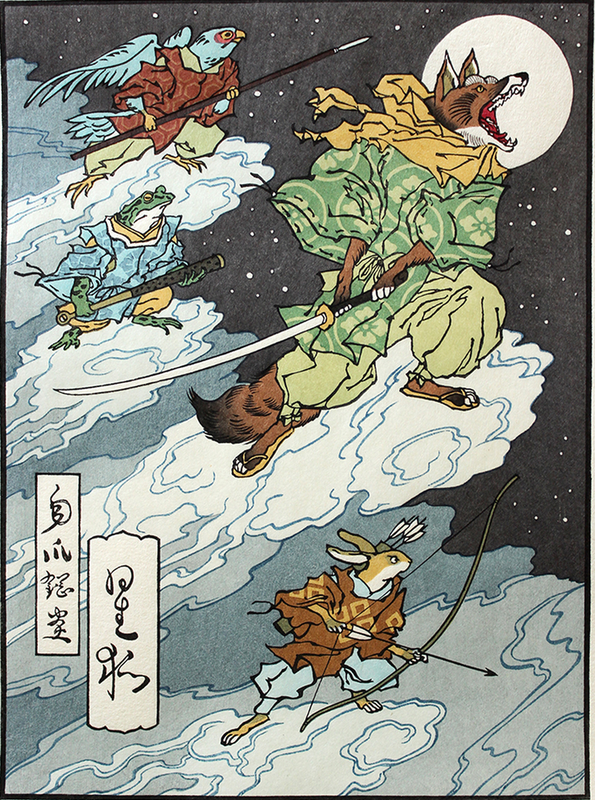 Although Ukiyo-e has its fervent admirers and collectors, a new breeze in the trade had been missing for decades. 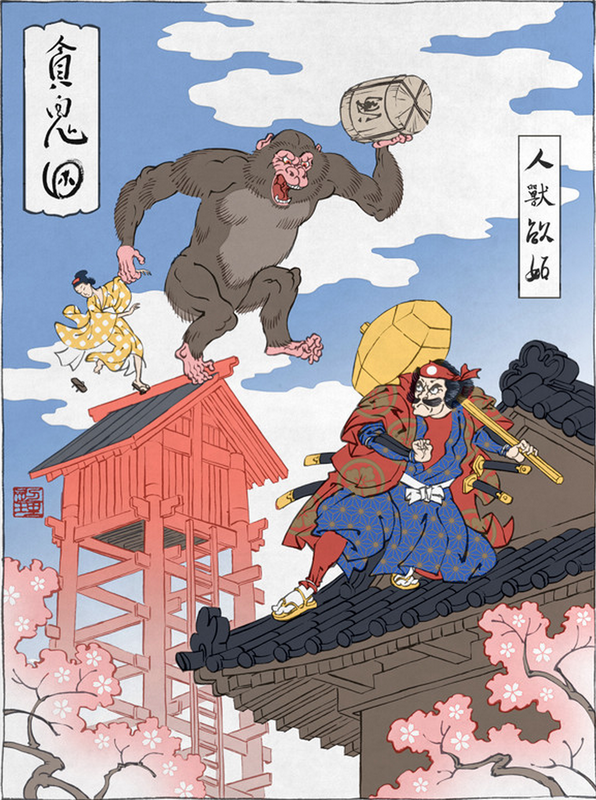 A project that took forms in 2012, however, brought modern appeal and a new audience to the Ukiyo-e genre. 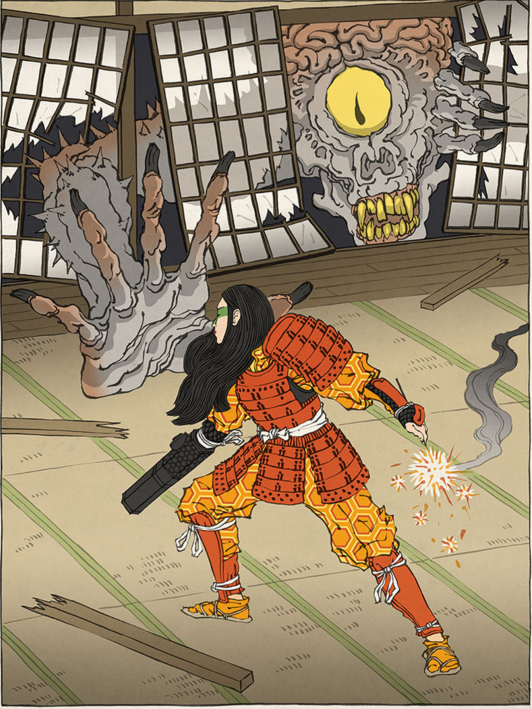 Illustrator JED HENRY and DAVE BULL, traditional woodblock printmaker stationed in Tokyo, teamed up for a groundbreaking venture by the name UKIYO-E HEROES that was backed by a KICKSTARTER campaign, which received an overwhelming support. 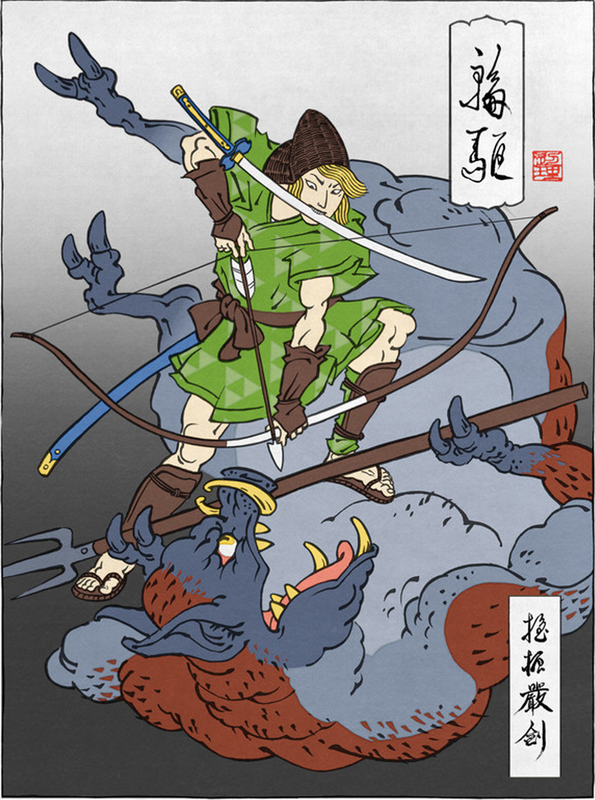 Ukiyo-e Heroes, is a spectacular picture collection of fine woodblock and Giclée prints of popular video game characters, beautifully recreated in a medieval setting and designed in this traditional art form by these two artists. 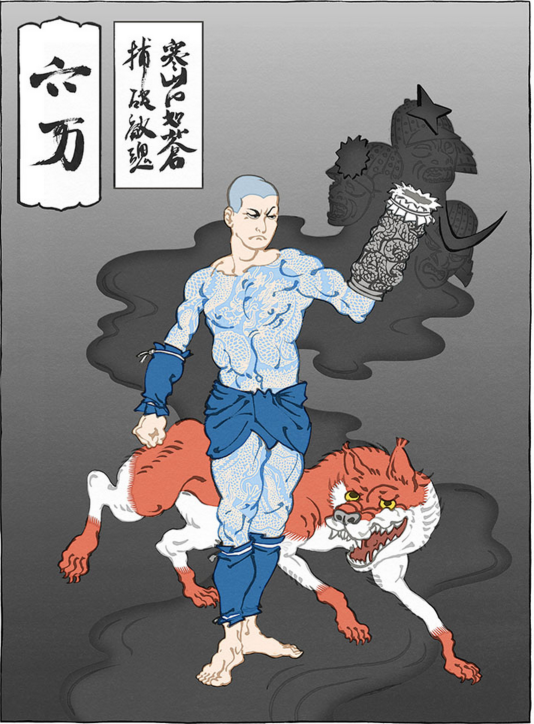 According to Jed Henry (initiator also of the fighting RPG game EDO SUPERSTAR), game characters as they have been created in Japan are by implication a product of the rich inherited culture of the country and thus fuse naturally in this creative project. The success of the project has proved him right. 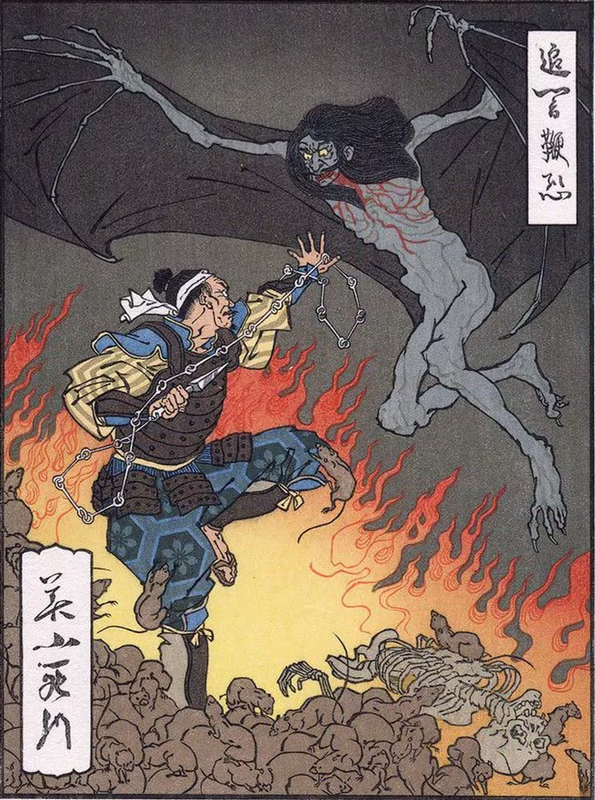 Down below, I listed some of the Giclées and prints I liked the most as well as a video of Dave Bull, giving explanations on the making process of an actual print in the Ukiyo-e Heroes series. < Previous 北欧女子オーサが見つけた日本の不思議 by Åsa Ekström – Re-discovering Japan with a Nordic Girl!